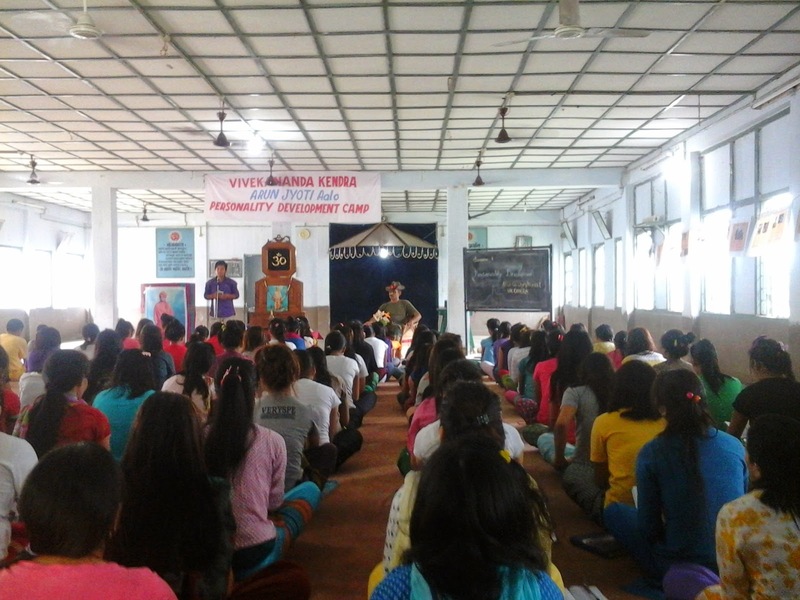 Vivekananda Kendra Arun Jyoti, Aalo Branch had successfully conducted a three day Residential Personality Development Camp at VKV, Jirdin from 25th to 27th May 2014 for the students of class VI to XII. Huge numbers of participants had been assembled in the camp from various places of West Siang, East Siang and Upper Subansiri districts. Altogether there were 30 Karyakarta of VKAJ and 90 participants. Col. G.S. Chundavat, Commanding Officer, 19th Grenadiers, Indian Army, Aalo had graced the inaugural session and delivered a lecture on the topic “Personality Development”. 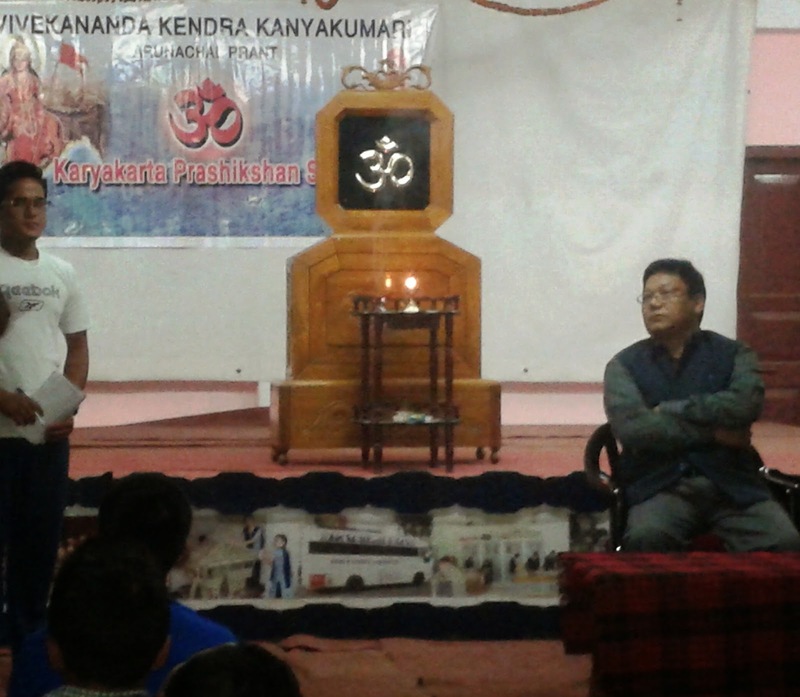 The camp consisted of various lecture sessions on the topics like “Swami Vivekananda”, “Our Culture Our Pride Our Life” “Bharatiya Sanskriti” “Sanskar Varga” and “Vivekananda Kendra”. Apart from the lecture sessions, the camp was also designed to engage the participants in various activities like Yoga practice for mental and physical awareness, Workshop for upbringing their inner talents and to let them know the essence of team work, Games for physical fitness and developing concentration and memory power, Group discussions for enhancing their communication skills, Deshbhakti Geet to create the sense of patriotism among the participants and Bhajan Sandhaya to develop spiritual feeling among the participants. The main motto of the camp was to mould the personality of the youth and to channelize their energy towards the goodwill of the society and the nation.